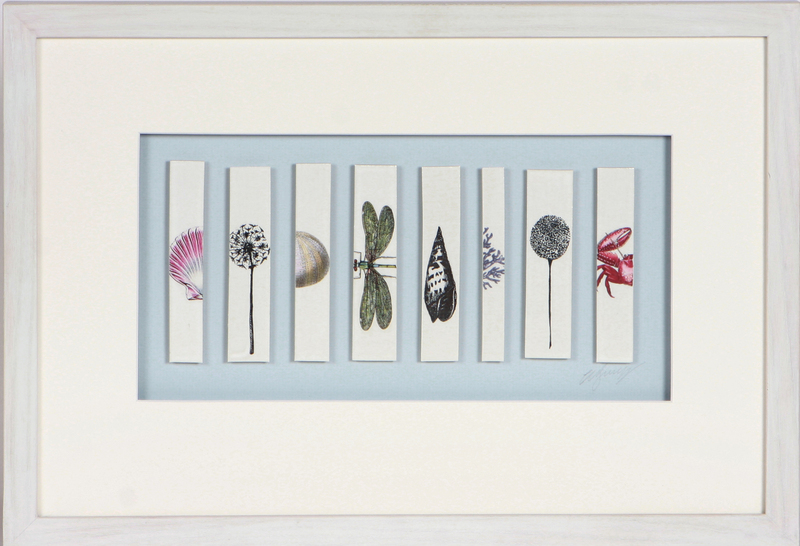 Framed in a bleached wood frame these eight tiles make a feature of any wall. 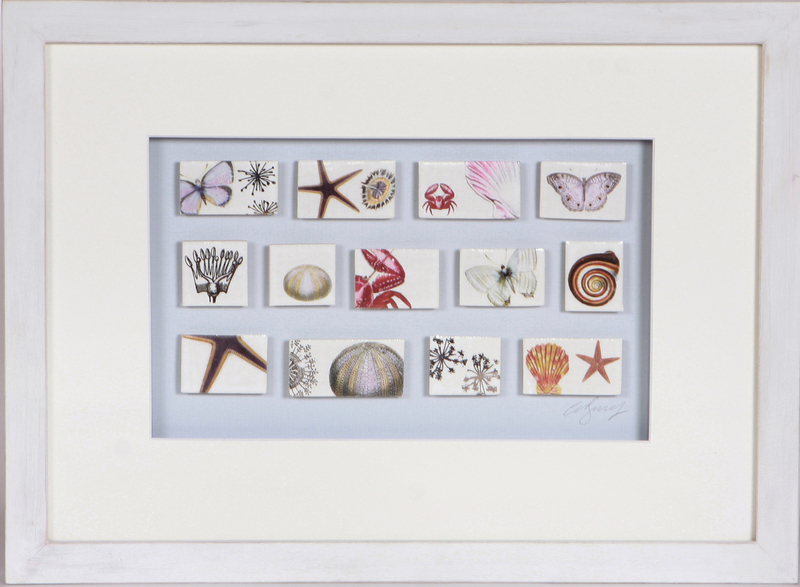 Framed in a bleached wood frame these thirteen tiles inspired from Caroline's love of the Dorset coast make a feature of any wall. 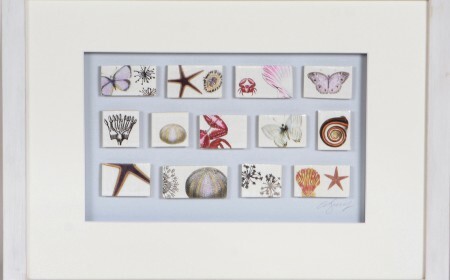 Framed in a bleached wood frame these thirteen tiles inspired from Caroline's love of the Dorset coast make a feature of any wall. The hand made tiles are decorated using platinum and coloured decals created from Caroline’s illustrations and photographs. 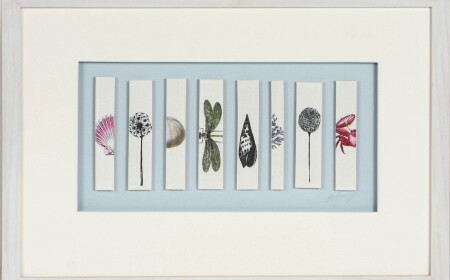 Framed in a bleached wood frame these eight tiles make a feature of any wall. The hand made tiles are decorated using platinum and coloured decals created from Caroline’s illustrations and photographs.